***Check out the Latest Hautlook Bag Spoiler! The HauteLook& Nordstrom Summer Beauty Bag is available today. It is a one off purchase not a subscription. The brands and products that it includes are listed below. I am super excited about these products and really wanted to try some of them so I jumped on this one quick. I have heard that it sells out fast so if you are interested please do not delay. 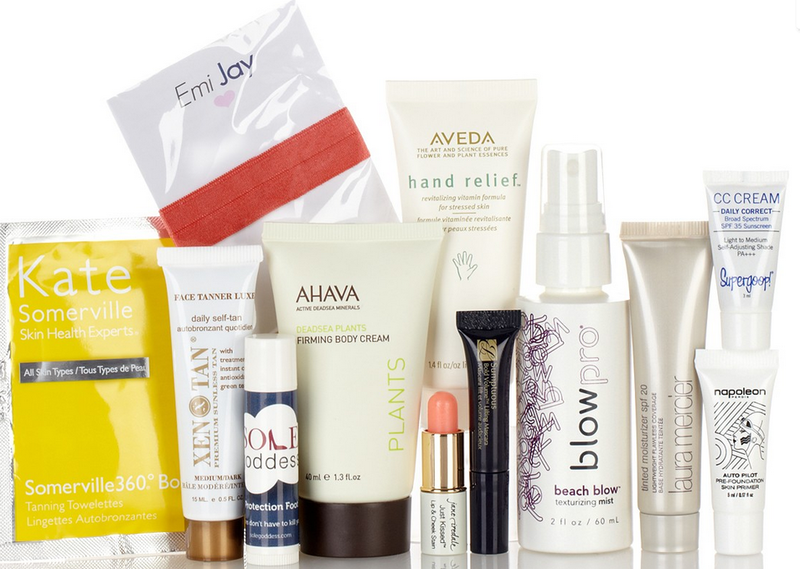 “HauteLook has teamed up with Nordstrom to bring you relief to your summer beauty woes. Packed with exclusive summer essentials, this beauty bag is a must-have for your everyday routine and convenient for your traveling needs. ***Be a pall and support my site by using my referral link.